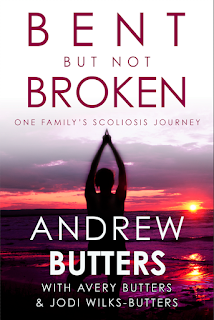 Author Andrew Butters: SPOILER ALERT! Every once and a while a TV show comes along that you really enjoy watching. You know the one I'm talking about. The one where, week after week, you can't wait for the next episode. The one where your anxiety levels climb in the weeks leading up the final episode of the season because you know that it will be the last of the show for months. The one that you faithfully record so you can watch it uninterrupted, free from commercials or other distractions, and just enjoy as everything unfolds in front of you for the first time. And then there are the inconsiderate jerkwads on the Internet - specifically Facebook and especially Twitter - who see fit to watch the show in real time, crappy commercials and all, and live-stream every plot twist and "oh my gosh" moment that happens. They will claim it's all part of the new media experience and this allows them to enjoy the show at a whole new level with other inconsiderate jerkwads. Networks will encourage this with various "follow us on Facebook" and "follow this #hashtag" gimmicks in an effort to entice more people to watch as they try to pump more advertising at the audience. Let the people who aren't watching at that very second know that you're about to ruin something for them. It's affectionately known as a spoiler alert, and it's an easy rule to follow. It really is. The problem is that some people either can't figure it out or don't give a damn. Granted, it's harder for someone on Twitter to comply than it is for someone on Facebook. Twitter is set up in such an instant gratification kind of way that if you want to express an emotion about what just happened on your favourite show you're much more inclined to type "OMG I can't believe they just killed What's-His-Name! #FaveShow" than you are "OMG, I can't believe what just happened! #FaveShow". Even if you are more likely to lean toward the second statement I can guarantee that someone somewhere will reply within seconds "@YourUserName I know! What's-His-Name was my favourite character! #FaveShow". Unfollowing someone on Twitter is a bit of a pain just so their spoiler tweets don't show up in your timeline. Setting up lists and filters is also quite a cumbersome exercise. Fortunately, a teenage girl in the U.S. came up with a way to redact your Twitter feed to avoid those unsightly plot twists - and she's going to release the app for free. Tell your spoiler-prone friends to do this. Tell them they can just cut and paste the example above and then proceed to type whatever the hell they want.